Joseph King has good reasons to work an oil rig far from his beloved Ice Mountain . . . and to mind his own business. He hopes to protect his younger brother Edward from worldly influences. And maybe he can finally forget how yielding to temptation forced him to leave home in disgrace. Still, no honorable Amish man would let Priscilla Allen and her four-year-old daughter remain homeless, living out of their car. And how can he not be drawn to the feisty waitress's bravery and hidden strength . . .
Offering Priscilla a home on Ice Mountain as his wife-in-name-only gives her a place to start again. For Joseph, it's also an unexpected chance to regain his reputation and standing in the community. 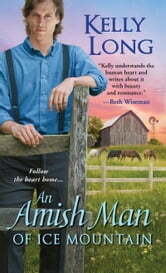 But Priscilla's warmth, caring, and determination to adjust to Amish society are renewing Joseph's long-buried hope. Now as his guilt and her wrenching secrets threaten the fragile trust growing between them, they will need the riskiest of miracles to put the past to rest--and fulfill a promise only love and renewed faith can bring. 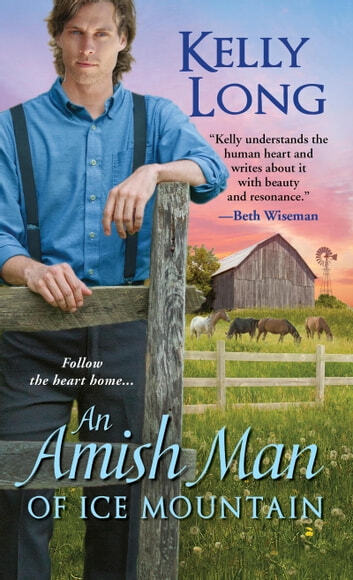 A must read especially if ou have read "An AMISH Man of Ice Mountain". It helps to remind or renew one'ds faith i prayer & love. Compelling & hard to put down or use bookmarks. KELLY Long is excellent with many twists & turns & unexpected events .